Counselling: I charge $165 an hour for individual adults, children, and teens and $185 an hour for couples and families. At the end of our meeting, I will give you a receipt with my license number on it for reimbursement from your benefit plan. Counselling fees are wholly or partially covered by most health insurance plans. Couple’s Counselling Retreats: I charge $1650 for the retreat. Coaching: I charge $165 an hour for individual coaching sessions. Please contact me in regards to group coaching. If you are in court proceedings, and the files are subpoenaed. In all other circumstances, I will only share information with others such as your physician, psychiatrist, or employer after receiving signed written consent from you unless I have reasonable and probable grounds to believe that disclosure is necessary to prevent grave harm to you or someone else’s mental or physical well-being. In such cases, I will only provide information on a need-to-know basis. If you are receiving services at the request of an employer, a lawyer, or the courts, we will discuss and clarify confidentiality and the limits to confidentiality at the outset and at any time anything changes. If you and another person or persons are receiving psychological support together (I.e. a couple or a group), we will discuss and come up with an agreement in regards to confidentiality and sharing of information should we meet alone or with individual members of the group. I do keep notes on our meetings and keep them in a locked filing cabinet. My computer is password, firewall, and virus protected to ensure your privacy is maintained. If you have any questions or concerns about your privacy, please let me know so that we can find a solution. Solution-focused therapy does what its name implies—it focuses on solutions rather than problems. Focusing on solutions helps people move on with their lives and feel better versus focusing on identifying dysfunction, deficits, and weaknesses as other kinds of therapy often do. 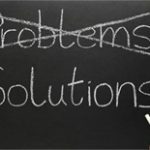 Because of the emphasis on solutions, people often find they have to spend less time in counselling than in more traditional kinds of therapy.Solution-focused therapy helps people figure out what they want to have in their lives instead of the problem, helps people feel hopeful and motivated to continuing making changes, and helps people build on success.It’s much more than just thinking positively. Problems don’t happen 24/7 even when the problem is something very serious. There are times when the problem seems less severe. I help you figure out what’s happening when the problem isn’t around or is less intense and assist you in making more of that happen. I collaborate with you to find other things to do that may be helpful. Because these small successes come from you, it’s easier to implement versus learning a whole new bunch of steps imposed by someone else. That means there’s no one “right way” to move beyond troubles because different solutions work for different people. Solution-focused therapy is about finding solutions to your troubles that work for you in a meaningful and rich way. It’s about appreciating and building on your competence, and doing some things differently. It’s about creating a vivid picture of what you want in your life, figuring out what you need to do in order to get it, and supporting you in making the changes you want to make. People who have experienced solution-focused therapy often feel more hopeful and motivated to continue building on what works.